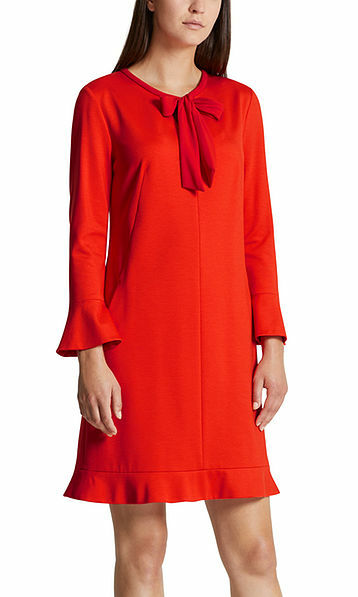 Feminine dress in stretch viscose for maximum comfort. 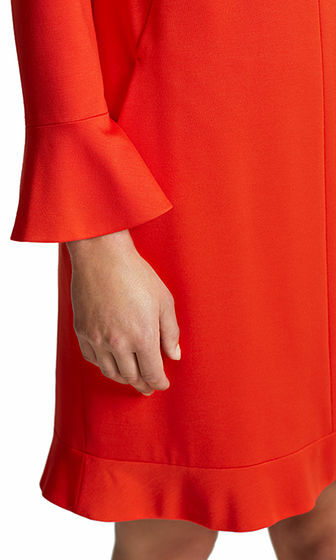 The dress is decorated with flounces at the hem and on the sleeves, and also has a bow. Diagonal inset slash pockets and bust darts set off the look.